If you're one of those people who always search for how to make money online, then congrats!!. After reading the guide you would come across the reason behind saying congrats. But for now I would say that you've landed on the right website and article if you really wanna make $$$. One can find hundreds of methods and ways to earn money online but most of them either require excellent reputation over that website or experience in that particular work. What if I say you don't need any of the above mentioned thing and still you can earn BIG $$$. Of course it's like a wish come true. Today we're going to review CPAlead. It's an awesome network which opens the door of making money online for everyone. CPAlead is categorized under CPA. It stands for cost per action. Also known as pay per action (PPA) and cost per conversion. These type of networks pay for doing each specified action such as completing a survey, sign up, installing application, purchase, pin submit, trials, click a URL and many more. Basically CPAlead is a combination of both publishers and advertisers. Where publisher is you who search for offers to earn some bucks while advertisers are those people who always look for high quality traffic. If you're having mobile app or website with high quality traffic then you can monetize it easily with high paying offers from CPAlead. They are recognized as the #40th fastest growing company in America by INC 500. How To Sign Up And Start Earning With CPAlead? 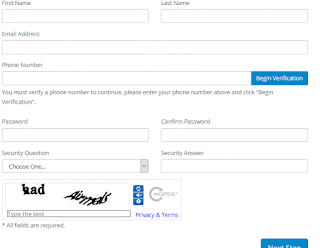 It's a really easy process to sign up with this network. Just follow the step by step guide given below. First of all sign up for CPAlead from here. Fill all the required details such as Name, email address, phone number (Don't forget to add country code before phone number), password and security code. Once all done simple click on Next Step. On the next page read all the terms & conditions and check the box saying "By registering as a Publisher, you represent and warrant that you are at least eighteen (18) years of age, and have read and agreed to the Publisher Terms and Conditions above". Now click on Submit button. Your account will be immediately and available for use. Simply go to dashboard or log in into your account if it has been logged out. Chat Window - It is disabled at first for you. You can chat once you met the earnings minimum. Marketplace - Here you can buy guides, scripts and templates. Earning Stats - On scrolling a little you can notice your daily earning and all time earnings. Newest Offers - There will be newly added offers by CPAlead team. Now simply click on offers from the left hand menu, it will scroll down then select offers again. 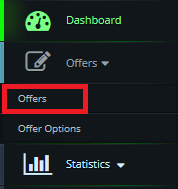 On the next page you can have offers list with their payout. Now you must keep some things in your mind. There is a field with country name. It means that specified offers is for only that country. You will get your commission only when offer is completed from that country only. One more field is there named conv. Which simply shows the conversion rate for that particular offer. Offer with high conversion must be chosen first. How To Promote Offers From CPAlead? Go through the steps mentioned below. Select CPA offer that you want to promote. While choosing your offer make sure it has good EPC and conversion rate for getting maximum return from your work. A new window will pop up. There you can see your Affiliate URL. Just copy it and send it to your friends or embed it on your website. Once they click on this link and completes the offer, you will be paid. You can use short URL also given just below the affiliate link. It comes with various options to monetize your apps and websites. If you're an app or website owner then above you can choose any of the above mentioned tool. This network offers high payout offers. They comes with several payout options Paypal, Payoneer, Wire Transfer, Direct Deposit (ACH - USA Only), Check by mail. Minimum payout threshold for CPAlead network is $50. You will get your payment once your earning has reached minimum threshold amount. Only then network can send money. They offer Weekly, Net-15, Net-30 payment options.